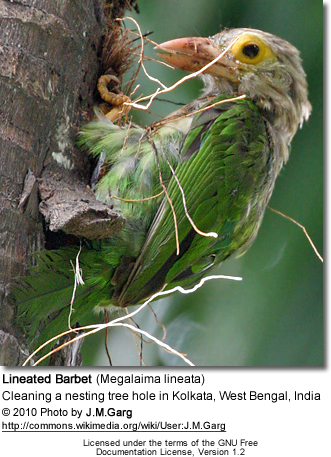 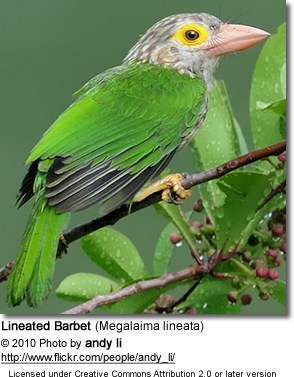 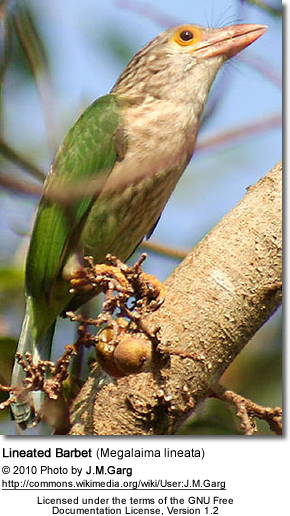 The Lineated Barbets (Megalaima lineata) are found along the southern foothills of the Himalayas and also in parts of Bangladesh and West Bengal. 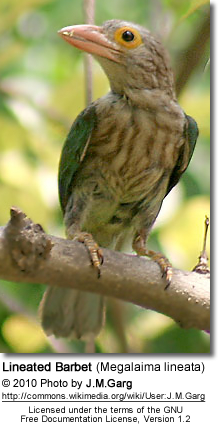 They primarily feed on fruits, but will also eat a wide range of insects, such as ants, cicadas, dragonflies, crickets, locusts, beetles, moths and mantids. 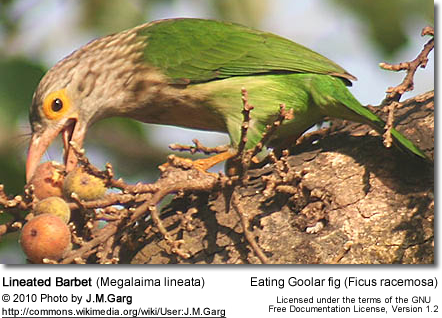 They also eat flowers. 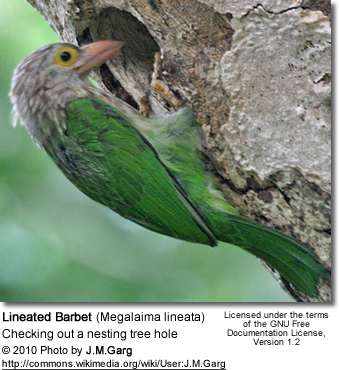 They nest in tree holes and hens usually lay 2 to 4 eggs, which are incubated for 13 to 15 days.